Will we also see the Apple Watch 2 debut? 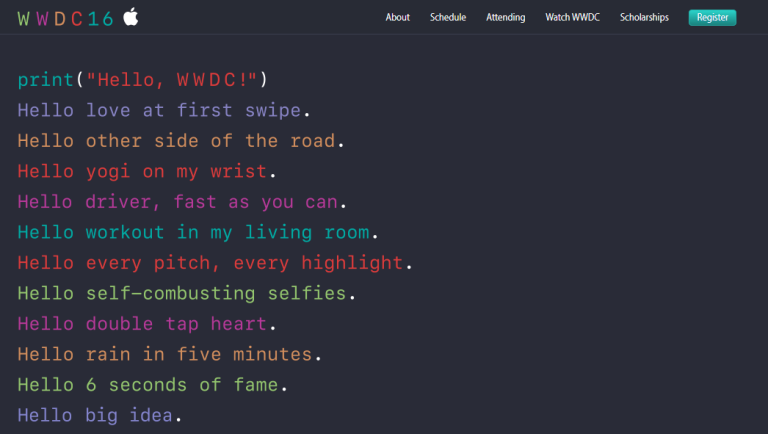 Apple has announced the dates for its annual software extravaganza in June. Primarily aimed at developers, the five day World Wide Developer Conference (WWDC) begins with a keynote speech from Apple head Tim Cook. That's the interesting part, because it's where Apple talks about what's upcoming for the software that powers its devices - expect it to take place at around 5 or 6pm BST (9 or 10am PST) on Monday 13 June. Expect news on iOS 10, OS X 12 (who knows what the follow-up to El Capitan will be called, but it is codenamed OS X Fuji), tvOS and watchOS 3 at the event which takes place from 13-15 June in San Francisco. Rumours persist that we'll also see the Apple Watch 2 debut at the event - likely to be quite a bit thinner than the existing model. Swift is a programming language that can be used across all Apple platforms, so it will be interesting to see what Schiller means by a 'landmark event' for developers using that system. he Apple Design Awards which recognise iPhone, iPad, Apple Watch, Apple TV and Mac apps that demonstrate technical excellence, innovation and outstanding design.